One of the things that all our programs must provide, in order to be more useful is to allow reusing of data from other programs ... or ours in other programs. Can you imagine that every time you have an index with a lot of entries, you can not use it to, for example, take advantage of the address of each? Do we have to re-write it all?? Well, in this module we will use the simplest existing way to pass data from one program to another: the clipboard. text & = grid. Columns [a]. Title & "\ t"
Text & = "\ n"
text & = verify (grid [a, b]. 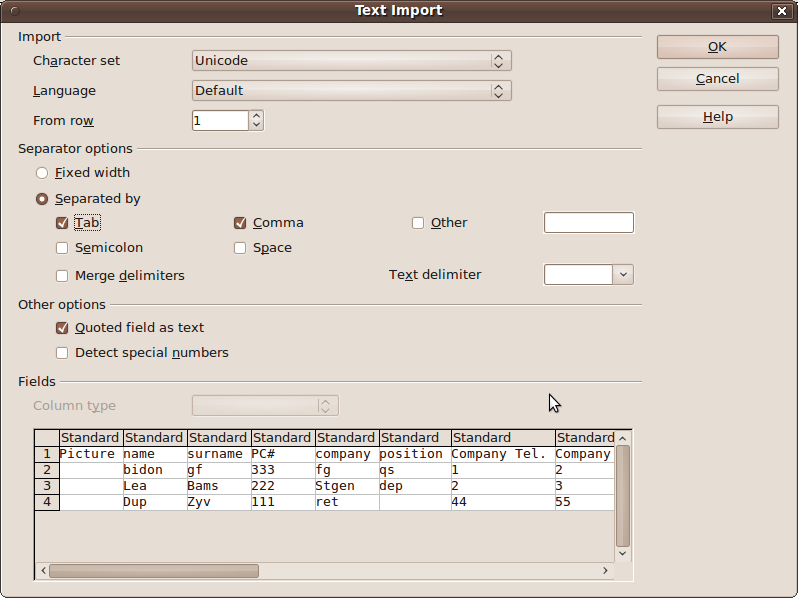 text ) & "\ t"
To the first " CopyClipboard ", we pass the grid we want to copy (grid AS GridView ), then we go to read the titles of columns and the rows of different records, adding each to a variable called text. With the command Clipboard. Copy (text), we transmit it to the clipboard. The second subroutines "verify " convert "decimal point" so that a spreadsheet, for example, may correctly reads the figures where localization need comma as a decimal separator . 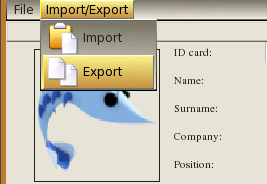 To import data, we will also use the command Clipboard.Paste. 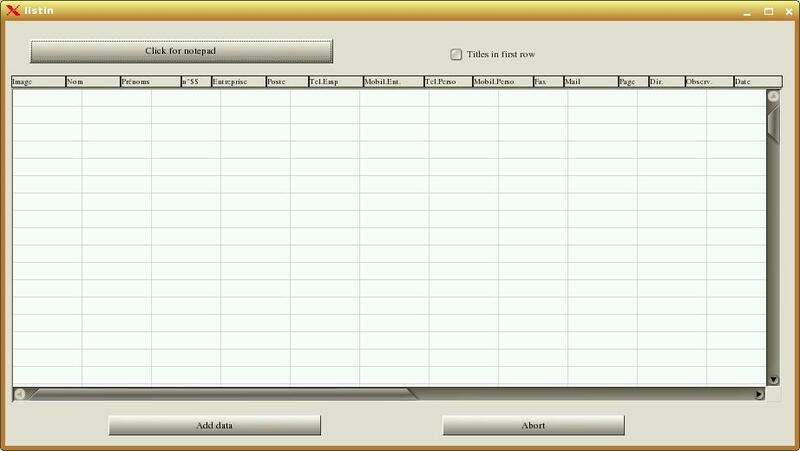 For example, let us make things so that we can dump the data from a spreadsheet to our listin. click "Add data to the directory" is responsible for passing data in gridview to memory. "Abort" is to cancel the entire process. 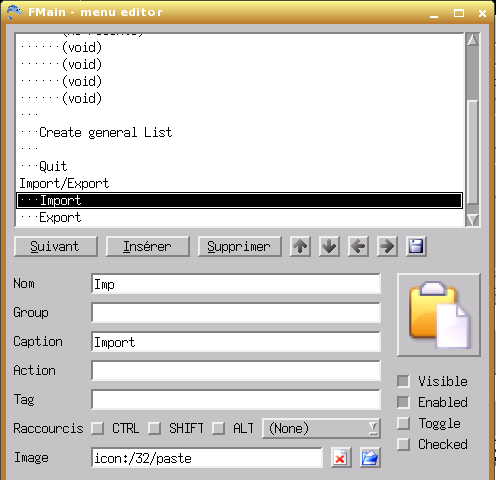 Command Split () will separate lines of text with carriage return "\ n" while data are separated by tab "\ t"
Code for "Append data to the directory"
1. The function verifisvoid, returns 0 when line of ReadGridView are completely empty (no text in any of its columns) , and the main proceedings Buttonadd_Click () , stop getting information, otherwise it returns 1 and continues adding records . as it should be a path, if it were not a valid path, it would cause an error that would exit of the program.